It doesn't sound like Tony Romo is going to be sugar coating his analysis. Tony Romo walked away from professional football after another injury setback early last season, and now he is playing the role of a rookie all over again. Romo is preparing for his first season in the television booth as a lead analyst for CBS. Preparing for his first season as a TV analyst has Romo learning as much as he can as quickly as he can. “It feels a little bit like I’m training for something,” Romo said in a news conference at the American Century Championship in Lake Tahoe. “As an analyst, I’m having to learn a lot. And I’m trying to create as many opportunities for myself to evaluate myself as I can. And that means doing it. And it’s just hard to find new avenues to do it over and over again. But I’m finding those, and it’s keeping the competitive nature in you going. It’s keeping me obviously close to the game, which I’m passionate about. So it kind of, like right now, it doesn’t feel that different because I’m still involved in football a lot. So, what does Romo’s offseason training look like? 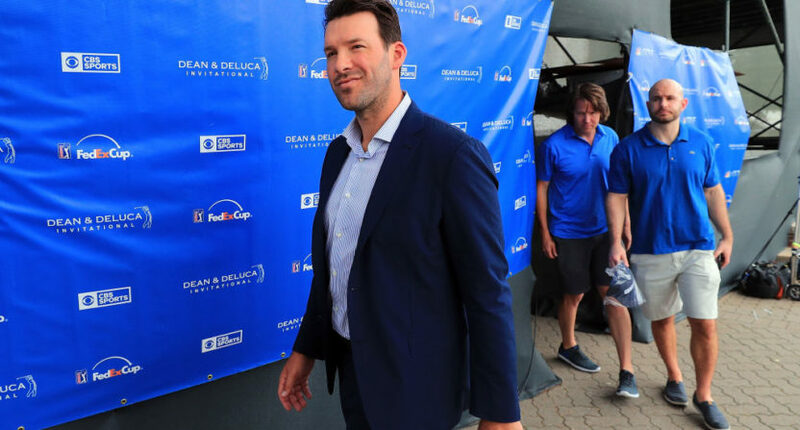 Romo has spent some time this offseason calling games with his new partner in the booth, Jim Nantz, and has used the opportunity to learn what is expected of an analyst. There is no question Romo knows the game of football, but we have seen time and time again that does not always translate to success in the booth. Romo is getting pointers on what he can improve on. It turns out Mr. Nice Guy Tony Romo has been a tad too critical in his preseason analysis training. Romo will be under pressure to thrive in the booth right out of the gate, because CBS is taking a bit of a risk putting a former player with no broadcast experience right to the top of the broadcast depth chart. Romo is charismatic and likable, which is what CBS wanted out of their replacement for Phil Simms, but it remains to be seen if Romo will be CBS’ answer to Troy Aikman at FOX or if Romo’s success as an analyst will be more on par with his postseason reputation.